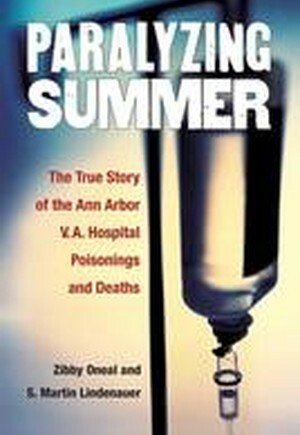 In the summer of 1975, an alarming number of patients at the AnnArbor Veterans Administration Hospital began experiencing mysteriousrespiratory failures that left ten dead and over 30 more clinging to life.Doctors struggled to determine the cause of the attacks, and furtheranalysis revealed each of the victims' intravenous drip bags had beencontaminated with a powerful muscle relaxant named Pavulon-a drugtraditionally used in hospitals when inserting patient breathing tubesin preparation for surgery. The discovery of Pavulon was particularlydisturbing because hospital safeguards made it unlikely the chemicalhad been introduced to patients' drip bags by mistake. This suggesteddeliberate poisoning, but with no apparent connection betweenthe victims, the motive behind the crime was unclear. The tangledinvestigation that followed gripped the nation's attention, particularlyafter the FBI narrowed its focus to two improbable suspects: a pair ofwell-liked nurses from the hospital's intensive care unit. Both were ofFilipino decent, and the national media speculated racism was a majorfactor in the scrutiny placed on the nurses. Drawing extensively fromcourt documents, news coverage from the time, and interviews withparticipants, Zibby Oneal and S. Martin Lindenauer's Paralyzing Summerpresents a gripping account of the baffling case, following the incredibletwists and turns that unfolded over a two and a half year period startingJuly 1975.